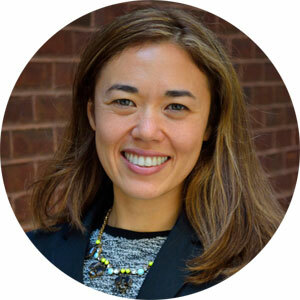 Emiko Atherton is the Director of the National Complete Streets Coalition, a program of Smart Growth America. As the Director, Emiko oversees the Coalition’s federal advocacy, communications, research, and technical assistance programs. She has used her expertise in transportation policy, public health, land use, economic development, and legislation to consult with communities across the United States on how to create better transportation networks. Emiko is an international voice on Complete Streets and has spoken to audiences across the country about the value this approach. Before joining the Coalition, Emiko served as the Chief of Staff for a King County Councilmember in Washington State. In that role, sheworked closely with local and state governments, federal agencies and Congress, and MPO’s on policy development and implementation, coalition building, and transportation planning. This included engagement on Transportation 2040, the Puget Sound Regional Council’s long-term transportation plan; the development of pedestrian and bicycle connections to Sound Transit’s line rail stations in underserved communities; the integration of public health goals into the region’s transportation and land use plan; and working with a diverse range of stakeholder to include equity goals into King County’s strategic plan for transportation. Emiko received her Master’s in Public Administration from Evans School of Public Policy and Governance at the University of Washington. Emiko can be reached at eatherton [at] smartgrowthamerica [dot] org.